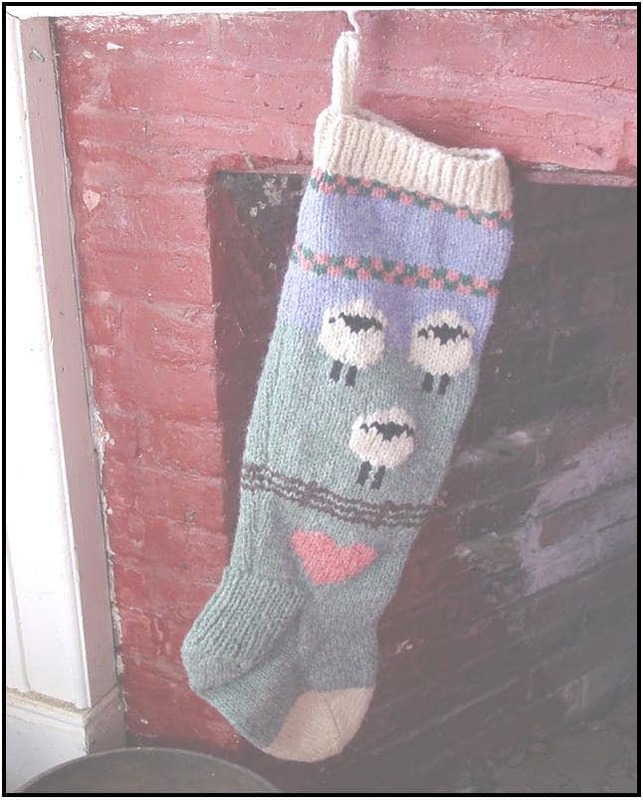 SHEEPY CHRISTMAS STOCKING knitting pattern only. Instant download so you can start making your right away! Stocking uses worsted weight or aran weight yarn, long size 7 knitting needles and size 7 double points. Gauge is 5 sts per inch but not critical with this type of project. Make one or a whole flock of socks for your family. Good starter pattern to try socks. Directions include extra guides for the novice sock knitter. Top is knit flat to make it easier to knit in the design. Then sock is joined after on DP or circular needle. DP needles needed for the toe. Stocking shown was knit with Bartlettyarns 2 ply worsted wool yarn.